Each admin user in your database has individual permission settings that determine their level access for each module in your Campsite database. To manage a user's permissions, expand the Admin user's account and navigate to the "Permissions" section. Click the name of a module to view/manage this user's permissions settings for it. "Enable module for this user"
To grant a user access to a module, you must first click "Enable module for this user." Enabling a module grants the user read-only access to the information within that module. After a module has been enabled for the user, you may then choose to grant the user additional permissions beyond "read-only" access. 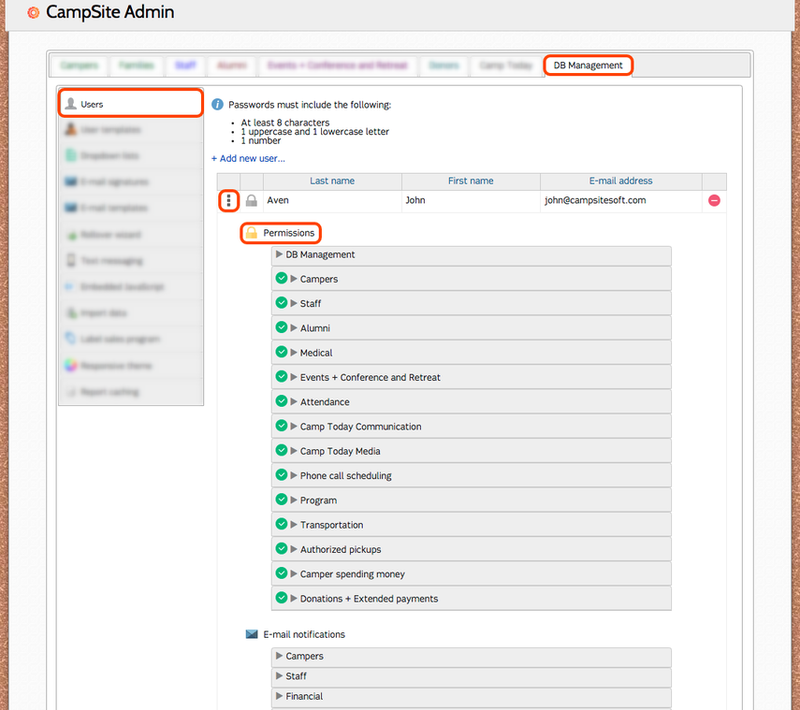 Admin: Allows this user to access the DB Management admin settings for your database (i.e. 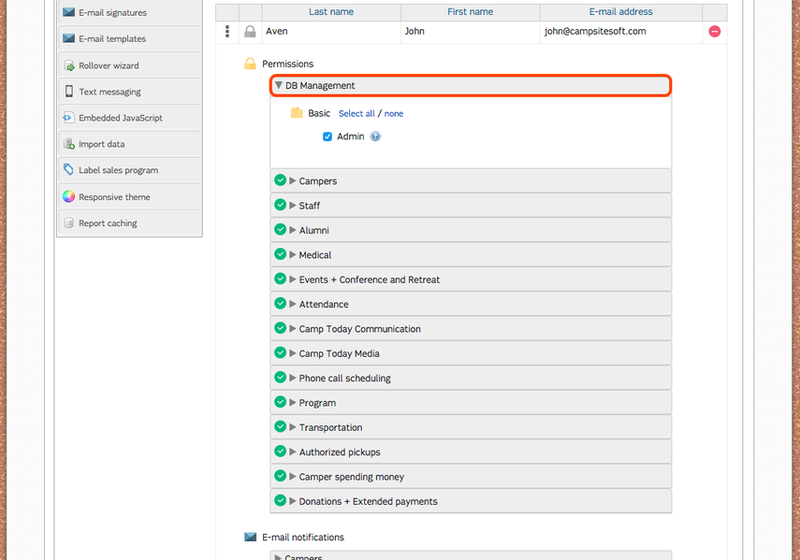 access to the DB Management tab of the Admin settings page and all the settings therein - e.g. add/edit/delete users in your database; access the Rollover Wizard; edit your Parent Dashboard theme; etc.) This permission should only be granted to the most trusted users.